Nakhon Phanom (Thailand) – July 5, 2018 (travelindex.com) – ​Airbnb, the world’s leading community-driven hospitality company, today announces new data that shows how Airbnb is supporting healthy tourism in the Greater Mekong region. 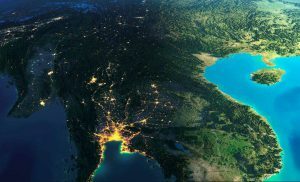 Thailand, and Vietnam. This marks a significant 147% growth year-over-year (yoy)​. These guests contributed a total of US$1.67 billion in economic activity​, benefiting hundreds of thousands of hospitality entrepreneurs and local businesses across the Greater Mekong region. In turn, the Greater Mekong region accounts for a significant number of Airbnb users. More than 7 million travellers​ from the region traveled with Airbnb to other destinations, creating offline connections across borders and cultures. within the region in 2017. – Of these travelers, almost 50% ​of them ​began their intra-region trips in Thailand​. followed closely by Thailand-Cambodia​, Vietnam-Cambodia​ and Thailand-China​. – Notably, Airbnb experienced powerful triple-digit growth in China and Vietnam. 1.2 million guests ​alone in 2017. – In Myanmar and Laos,​ locals are increasingly embracing traveling with Airbnb. 31% between 30-60 years of age​. – 54% ​of all guests traveling with Airbnb to the region were female​, and 46% male​. “The Greater Mekong is one of Airbnb’s fastest growing regions, and we continue to grow in the region because tourists increasingly want new, adventurous, and local experiences when they travel. Airbnb Experiences in three markets — China, Thailand and Vietnam. We are proud to share that we launched Experiences in Chiang Mai just yesterday. Chiang Mai is one of our fastest growing markets in Thailand, and we believe the introduction of Experiences will continue to support the creative and cultural capital as it continues to grow as a popular travel destination both in the region and globally. travel by being connected to local cultures and having unique travel experiences. Its community marketplace provides access to millions of unique accommodations from apartments and villas to castles and treehouses in more than 65,000 cities and 191 countries. With Experiences, Airbnb offers unprecedented access to local communities and interests, while Places lets people discover the hidden gems of a city as recommended by the people that live there. Airbnb is people powered and the easiest way to earn a little extra income from extra space in a home or from sharing passions, interests and cities.